Catching…the harbour draws together objects from the Australian Museum’s priceless collection as well as historical artworks, rare books, underwater film,newsreel and home movies, fibre optic installation, periscopic and multimedia artworks. The art of Robyn Backen resides in the sphere of transition, inhabiting thresholds between the elements of land, water and air; between the human body and technology; randomness and pattern. 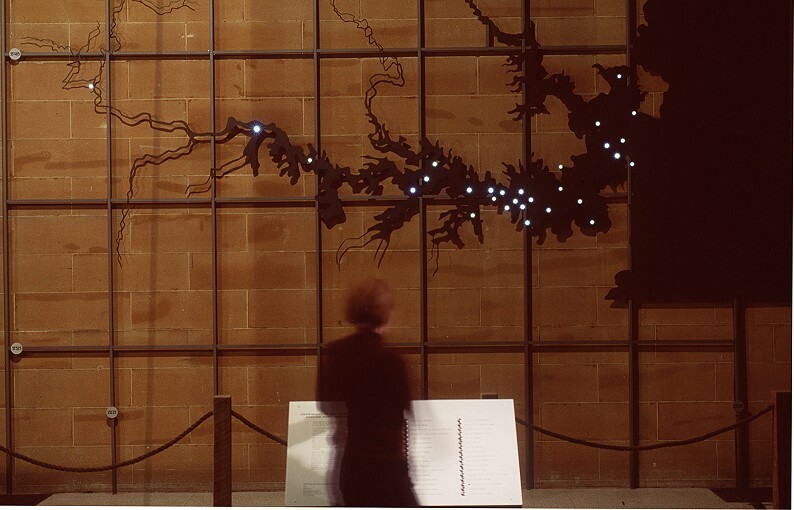 Her sculptures, Weeping Walls, 2000, create the gateways of departure at Sydney International Airport. 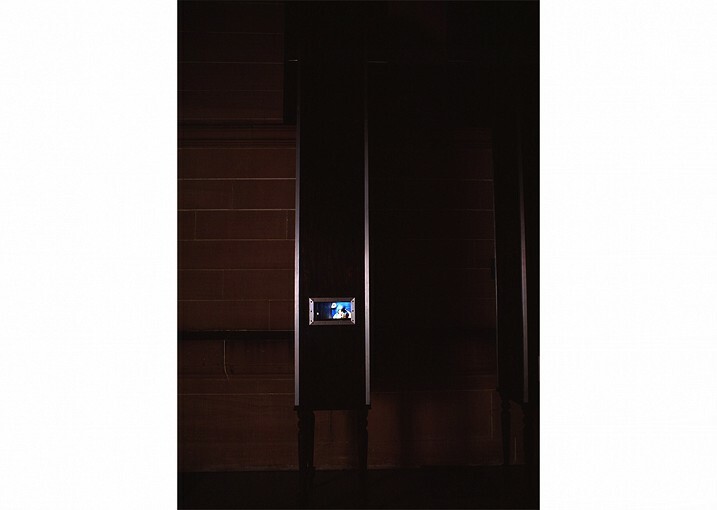 With the memory of Morse Code messages pulsing through fibre optic cable, they repair the emotion of separation as passengers disappear behind their glass walls, and appear to be woven into the wall. 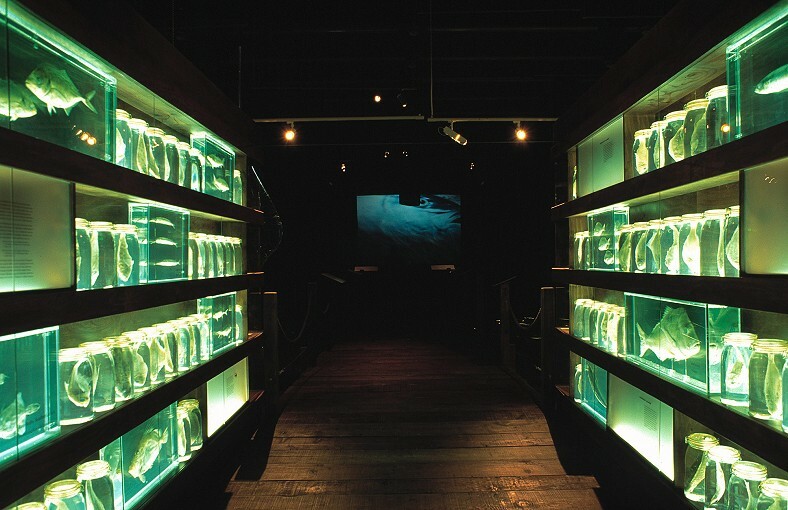 The Archaeology of Bathing, 1999, delineates the transition of the Harbour to its shore at Woolloomooloo Bay, and alludes to the territory between memory and the present. The work measures the portions cut from the Harbour waters and bound into the private baths begun by Mrs Biggs in 1834. Like an instrument of meditation, the sculpture receives the pattern of tidal movement, simultaneously invoking the presence of the baths, and releasing the waters from this enclosure. Catching … the harbour reflects a collaborative process between Robyn Backen, Australian Museum scientists and exhibitions staff, artisans and tradespeople who assisted in its realisation. 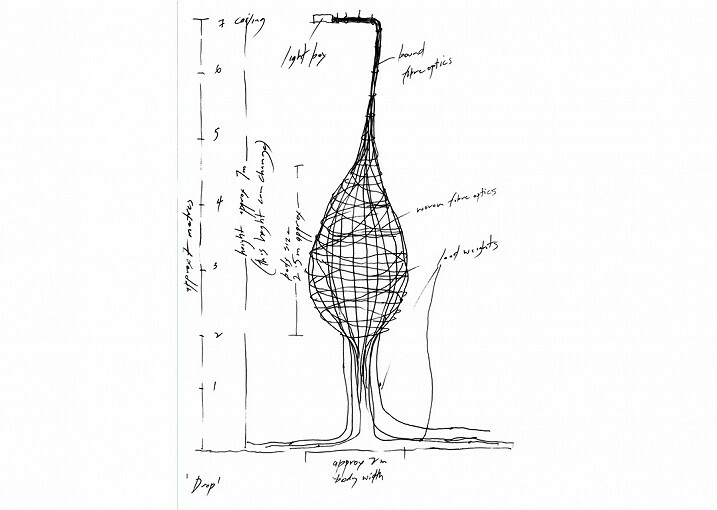 The process is itself an expression of transition between the practices of art and science. 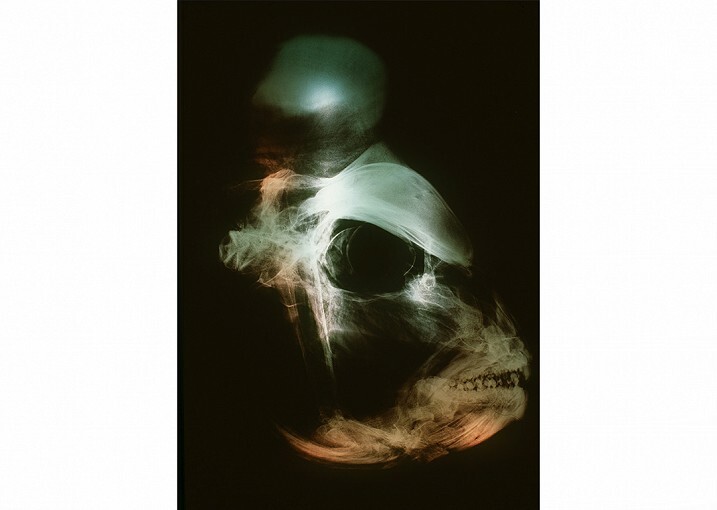 The collections are articulated in shifts of time, scale and perception; they are phrased in reversals. 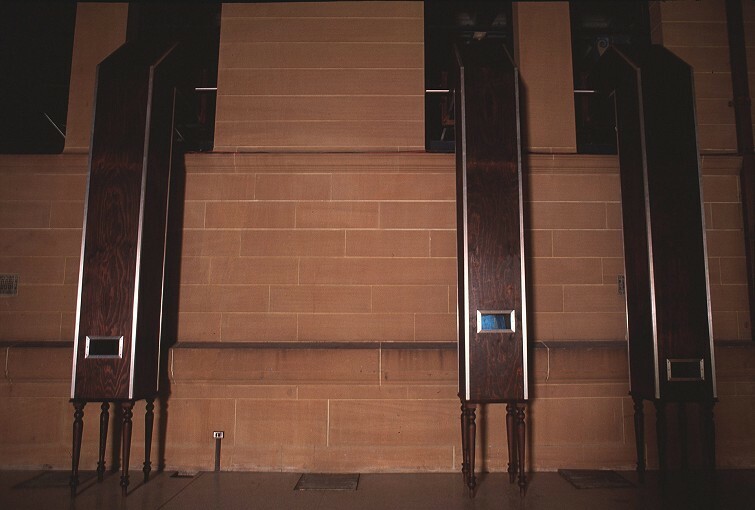 Light emanates from exhibits; X-ray photographs follow a display of specimens; and the necks of the periscopes stretch to retrieve sight of the harbour, headlands replacing the sandstone walls of the Museum. Contemporary and archival film is projected with shared and separate imagery and joined by seams of text, as language appears to bind our comprehension of the physical world. 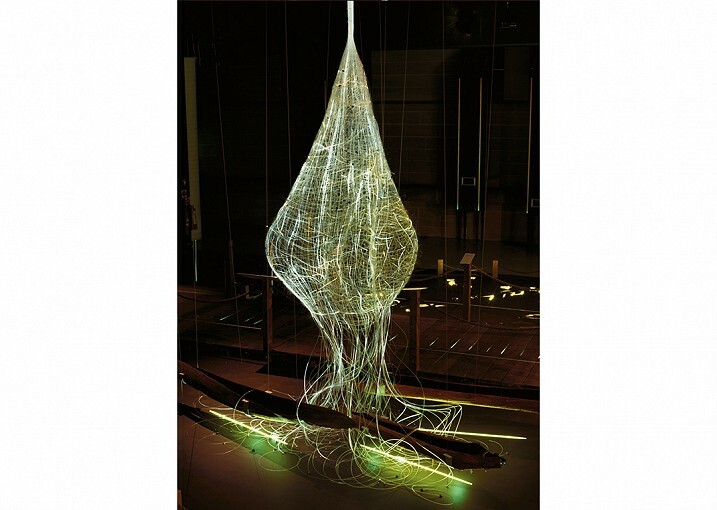 The installation, Drop, incorporates canoes interwoven with fibre optics, the materials of contemporary communication. To the colonists, the Aborigines’ canoes seemed to sketch an agile line between the Harbour’s water and the fires they carried on board. The canoes appear to have fallen through the netting of optic fibres; the lines of light rise from them, weightless and metaphysical. Catching…the harbour is the unique collaboration of scientist and artist to investigate fish, fishing and Sydney Harbour. From foreshore, waterline and harbour depths Catching…the harbour delves historic and contemporary Aboriginal fishing in Sydney Harbour harbour marine resources and biodiversity physical and poetic synergies of science, art and history This often unorthodox exhibition draws together objects from the Australian Museum’s priceless ethnographic, scientific and archaeological collections as well as historic artworks, rare books, aboriginal spears, underwater film, historic newsreel and home movies, fibre-optic installation, periscopic and multimedia artworks. Catching..the harbour probes harbour and foreshore, science and art to entice visitors to suspend the moorings of time and space to drift within the depths of the world’­s most beautiful port of Sydney Harbour. Suspend the moorings of time and space, science and art to drift within the depths of the world’­s most beautiful port of Sydney Harbour. 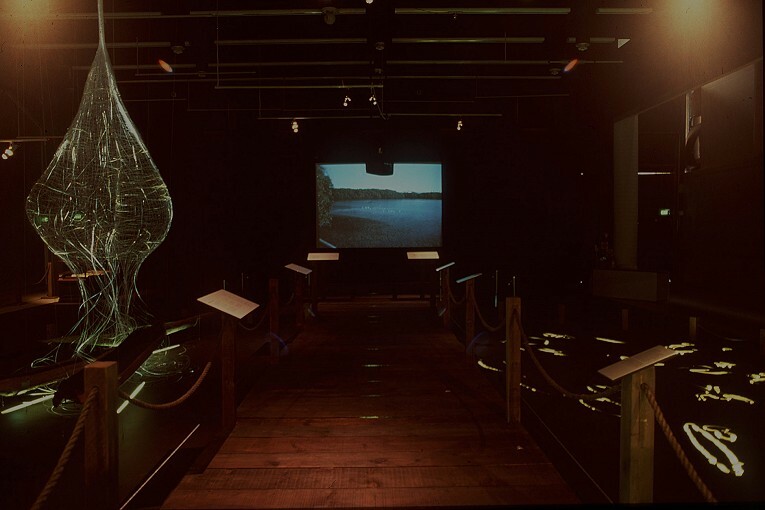 Catching…the harbour explores Sydney Harbour’s rich Aboriginal fishing history, it’­s extraordinary biodiversity and the many forms of artwork it has inspired. 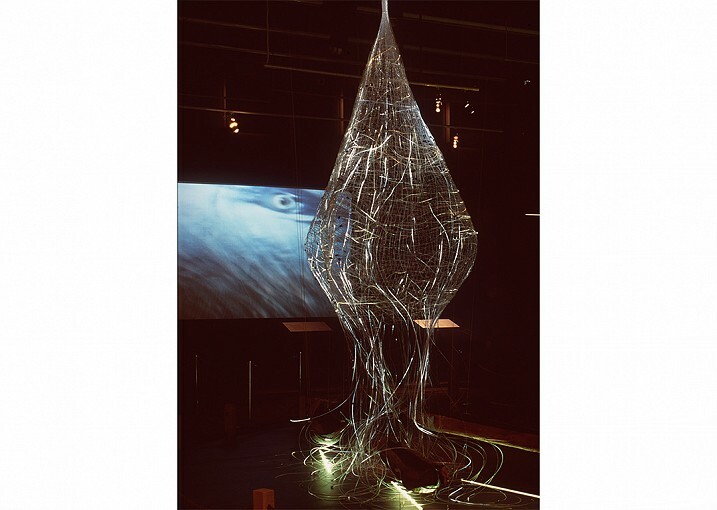 Explore three rooms and four voices as you journey above and below the Harbour waterline to discover the synergies between art, science and history while appreciating each unique interpretation. Catching…the harbour will take you to the crossroads of science, art and history while showcasing Sydney Harbour’s depths, colours and sounds. Behind the scenes of the Australian Museum’­s public galleries, in a rather evocatively named building, The Spirit House, lives one of the Museum’­s greatest resources and the research collections. 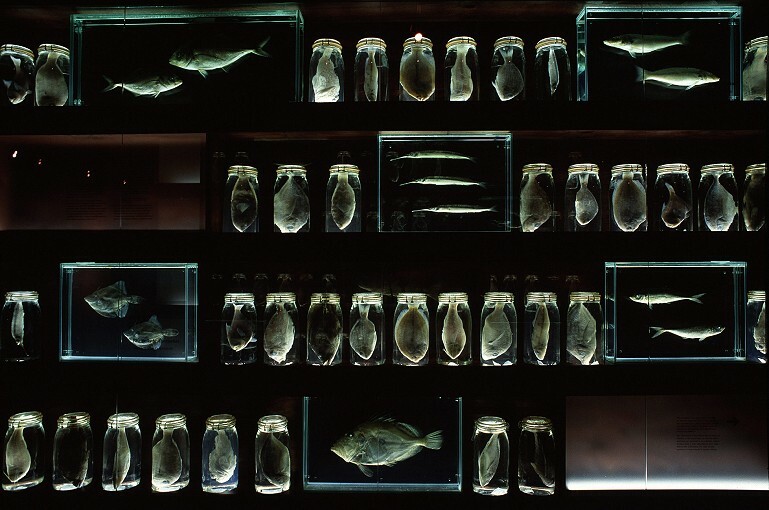 Museum collections function as libraries where specimens and objects replace books. These specimens and objects are regularly borrowed, studied and returned, with the information from each new study added to their records. This reduces the need for scientists to collect new specimens when conducting research and is especially important when research is being conducted on endangered or vulnerable species. After over 180 years, the Australian Museum collections, by any definition, can be considered immense, with more than 4,000,000 insects, 1,000,000 fishes, 200,000 archaeological and anthropological objects and 60,000 rocks and minerals to name but a few. These collections represent a readily accessible portion of our natural and man-made world. What fish species were caught and eaten by the Aboriginal inhabitants of the Sydney region before 1788? Do these fish species represent the fish fauna of Sydney Harbour or did Aboriginal people catch a select few? Fish bones excavated from ancient Aboriginal sites can be identified by comparing them with skeletons and x-rays from the fish collection. Through identification of the species found, it seems Aboriginal people definitely prefered a select few of Sydney Harbour’­s tastiest species. 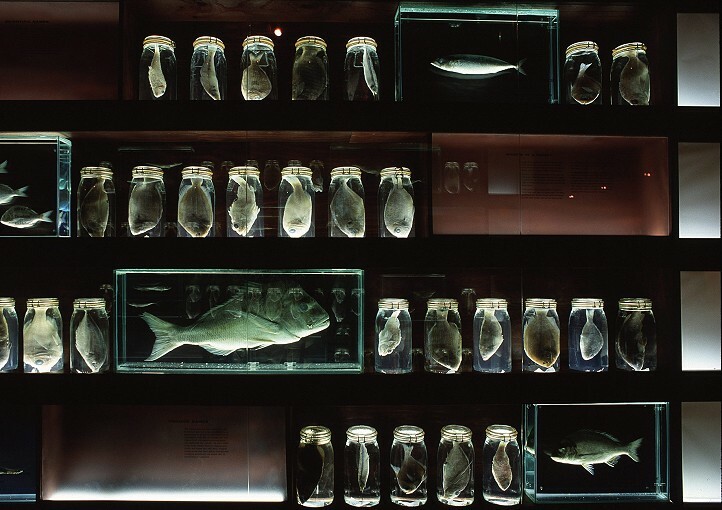 The specimens in the glass cubes to the right are from the Australian Museum fish collection. Each specimen has a unique registration number. The label holds essential information about the collection of the specimen, including the date, location and collector. This information is also entered into an electronic database so that researchers can find out which specimens are contained in the collection without having to look at every specimen on every shelf. Without this information, the value of each specimen to science would be greatly reduced. Eastern Blue Groper - Achoerodus viridus The Eastern Blue Groper is well known by Sydney divers and snorkellers for its inquisitive nature. Interestingly, this species is born female and may turn into a bright blue male later in life. This species was in danger of being over-fished until its complete protection in New South Wales in 1969. Today, this species can be caught with a hook and line, but is still protected from commercial fishing and spearfishing. As a result, it is once again a common sight on the rocky reefs of Sydney. The Eastern Blue Groper was also made the fish emblem for New South Wales in 1996. The Weedy Seadragon is found only in the southern waters of Australia. It acquired its named from the weed-like appendages on its body which help to camouflage it in the kelp beds that are common in Sydney Harbour. Like seahorses, it is the male Weedy Seadragon that carries and cares for the eggs. Unlike seahorses that have a pouch in which they rear their young, the male Weedy Seadragon carries its bright pink eggs fixed to the underside of its tail. Port Jackson Shark - Heterodontus portusjacksoni Port Jackson Sharks are attractive fish which are named after the original European name for Sydney Harbour - Port Jackson. They are considered harmless to humans and spend most of their time on the bottom of the Harbour, often in caves. Port Jackson Sharks lay very distinctive egg cases which blend with the kelp beds where they are laid. After hatching, the Port Jackson Shark eggs are often washed up onto Sydney beaches and have become a common prize for beachcombers. The Pineapplefish is one of Sydney’s more unusual, lesser-known, nocturnal inhabitants. It obtained its name from its resemblance to a pineapple as it is bright yellow when alive. It has very thick scales with curving spines, making it a rather unattractive meal for predators. It has its very own lighting system in the form of a light organ on either side of the lower jaw to locate its prey at night. The Old Wife is found only in the southern waters of Australia and is a very common sight in Sydney Harbour. It has venomous dorsal spines which can cause a great deal of pain when not handled carefully. The rather unflattering common name of this species refers to the sound it makes by grinding its teeth when caught. Apparently, those who fished this species when it was named thought it sounded like a grumbling old woman. The Old Wife was scientifically described in 1790, making it one of the very first fish described from Sydney Harbour. The Red Indianfish belongs to a family of fishes which are found only in Australia. This unusual fish ranges in color from scarlet and brick red to orange, enabling it to blend easily with the sponge gardens in which it lives. Despite the fact that the Red Indianfish is so striking and inhabits the waters of Australia’­s largest city, very little is known about the biology of this species. The Striped Anglerfish is the less famous, shallow water namesake of the deep-sea anglerfishes. Anglerfishes acquired their name through their ability to attract their prey with specialised fishing lures. 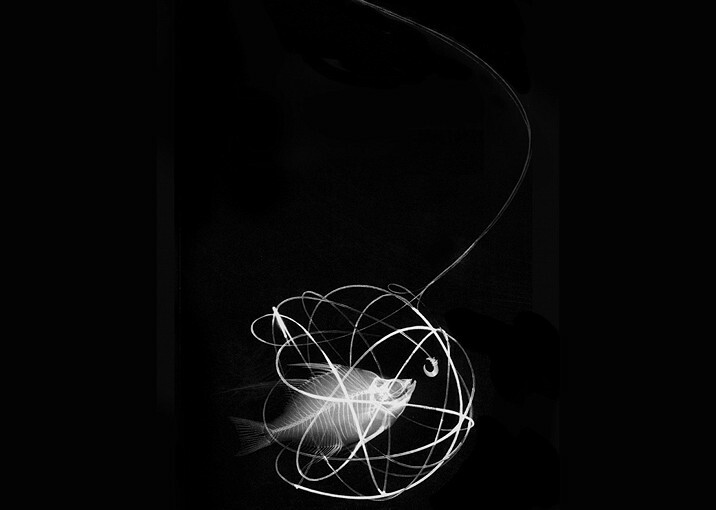 The lure of the Striped Anglerfish is baited with what looks like a cluster of worms. When ‘fishing’­, the Striped Anglerfish sits very still on the bottom, beautifully camouflaged and uses its lure to attract small unsuspecting fish towards its very large mouth. The Lionfish, also known as the Red Firefish, Turkeyfish and Devilfish is an exquisitely beautiful but venomous tropical visitor to Sydney Harbour. The Lionfish is one of the best known of the many tropical fish species which are carried south each year as tiny larva by the East Australian Current. Their journey begins on the tropical reefs of Queensland and ends on the rocky temperate reefs of Sydney Harbour where they spend their adult lives. What’s in a name? People make sense of the world by giving names to the things that surround them. For example, most people recognise different fishes by common names such as Snapper, Bream and Leatherjacket. But what if a particular fish species has ended up with many different common names? The Snapper is also known as Red Bream, Cockney, Squire, The Light Horseman and Pinkie and that is just in NSW! Alternatively, what if many different species of fishes have been given the same name? Hundreds of different fish species around world are known as Cods even though some are not even closely related. This is a big problem for a fish researcher because it is crucial that they know exactly which fish species is which. To solve this problem, scientists use a rigorous scientific naming system called “binomial nomenclature”­. This system gives each fish species a single unique “scientific name”­ made up of two words. Binomial nomenclature was first devised by 18th century Swedish naturalist, Carolus Linnaeus and has been used as the basis for scientifically naming every biological species on earth. Scientific names The first part of a scientific name is called the generic or genus name and the second part is the specific or species name. Many very closely related species may share the same generic name but every species has its own specific name. For example, the Yellowfin Bream found in Sydney Harbour has the generic name of Acanthopagrus which it shares with other very closely related species and the specific name of australis which gives the Yellowfin Bream its unique two-part, scientific name. Common names The common names of many fishes often refer to the place they were found, the person (or a relative of this person) who found them or a description of the fish. The Port Jackson Shark (Heterodontus portjacksoni) was named after Port Jackson - the place where it was found, White’­s Seahorse (Hippocampus whitei) was named after John White (Surgeon General to the First Fleet) - the person who discovered it and the Pineapplefish (Cleidopus gloriamaris) was named after its resemblance to a pineapple. Sydney Harbour is the centrepiece of Australia’­s largest city. It functions as a port, a recreation area, a source of food and a dumping ground for the people of Sydney as well as a home for a wealth of marine life. Sydney Harbour is an estuary with a wide, deep water entrance and rocky shoreline. An estuary is a semi-enclosed coastal body of water which has a connection with the open sea and within which seawater mixes with fresh water from associated rivers and creeks. Sydney Harbour is one of the richest estuarine areas of the world with roughly 550 species of fishes and a surprising diversity of underwater habitats. The outer portion of the harbour is dominated by an intertidal rocky shoreline and extensive rocky reef and kelp beds. The inner harbour contains seagrass beds and mangroves and provides shelter for many young fishes. To give some idea of just how diverse Sydney’­s fish life is, there are approximately 200 species of fishes recorded from the whole of The United Kingdom. This counters the impression many people have of Sydney Harbour as a desolate underwater wasteland. Firstly, Sydney sits on the Australian coast at a point where the warm tropical waters from the north and cooler temperate waters from the south mix. Consequently, both tropical and temperate fish species occur in the harbour. The pelagic (open-water-living) juveniles of tropical reef species are carried south by the East Australian Current - a warm tropical current flowing south from the warm equatorial top end of eastern Australia to the southern regions of Queensland, New South Wales and occasionally as far as Tasmania. Secondly, the outer portion of the harbour, where most of the fish species occur, is not a true estuarine habitat but resembles an open coastal habitat. This means that - Brooke to supply rest of sentence. When the British arrived in January 1788, there were more than 1500 Aboriginal people from several clans including the Gadigal, Wangal, Wallumedegal, Boromedegal, Gamaragal, Borogegal, Birrabirragal and Gayamaygal, living in the area from Botany Bay to Broken Bay and as far west as Parramatta. Their diet included a range of marine and land animals as well as plant foods, but for the people living near the coast, fishing was an important part of life. 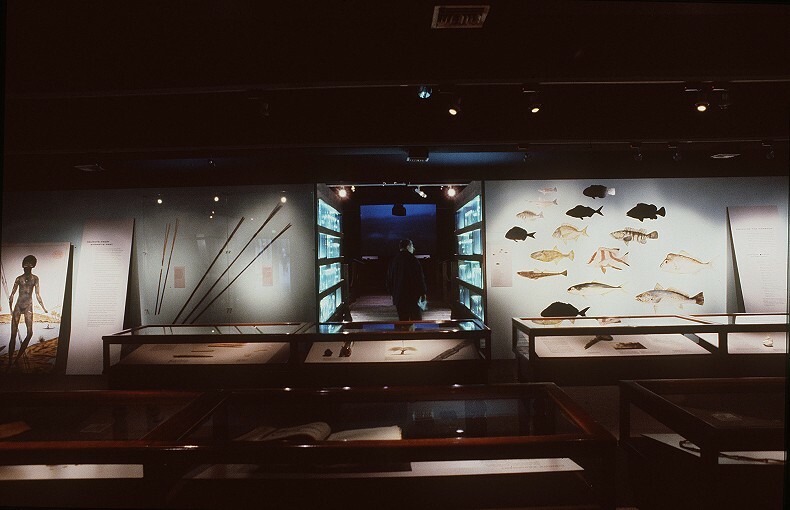 Information about the life of Aboriginal people from Sydney Harbour comes from a range of sources: written descriptions, oral histories, drawn and painted illustrations as well as objects collected by the earliest colonists and visitors to Port Jackson in the late eighteenth and early nineteenth centuries. In addition, archaeological sites such as rock engravings and shell middens* along with the excavated artefacts and food remains provide a record of the distant past. The historical images were originally drawn and painted as scientific illustrations to describe the people of Australia. However, today, these illustrations have a strong aesthetic appeal and can be seen as artworks in their own right. Similarly, many people appreciate rock engravings today for their artistic value although they were made for a very different purpose. Using these resources, it is possible to bring together a picture of the changing life of Aboriginal people in the Sydney region over many thousands of years. 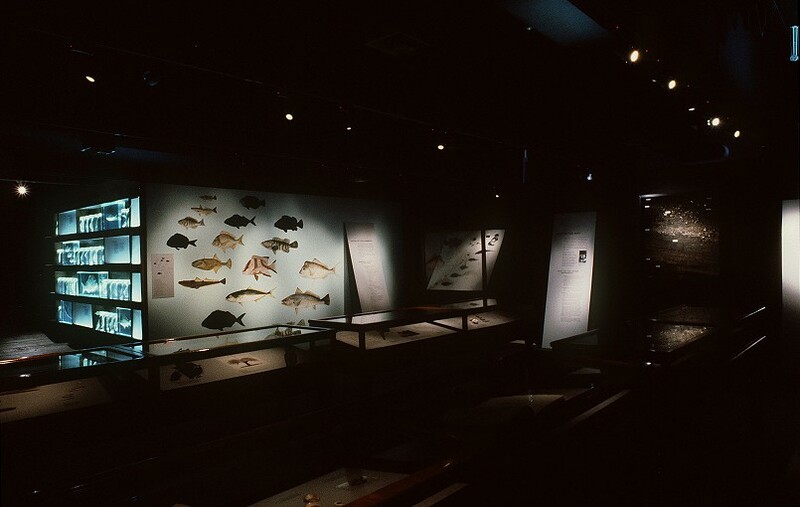 This room displays material from each of these sources and focuses on the role of fish and fishing in the lives of Aboriginal people. *Shell middens are deposits in which shells are the dominant visible cultural items. They are the location of campsites and the shells are principally the remains of past meals. Some middens consist only of shells, but others contain a range of materials including stone, bone and shell artefacts, animal bones and pieces of ochre, as well as charcoal and hearths (fireplaces). They vary widely in size from a few shells scattered over the surface of a small area to thousands of shells extending tens of square metres in area, and several metres in depth with complex stratigraphy which has built up over thousands of years. The natives on the sea-coast are those with whom we happened to be the most acquainted. Fish is their chief support.­ Collins, 1798 Object (=book) label Peron, F & de Freycinet, L (1824) Voyage de couvertes aux Terres Australes, fait par ordre du governement, sur les corvettes le Geographe, le Naturaliste et la go - lette le Casuarina, pendant les ann’es 1800, 1801, 1802, 1803 et 1804. Atlas. 2nd edn. Arthus Bertrand, Paris. New Holland: New South Wales Caves and the hunting and fishing of the Port Jackson people In the foreground an Aboriginal person lies on his back covered in foliage with a small fish in his mouth in readiness for the Sea Eagle about to take it, thus providing an opportunity for this able hunter to seize the bird. Further away there are caves in which the people sometimes shelter themselves from unexpected weather. Elsewhere men are fishing on the shoreline with spears. By CA Lesueur (artist); A Delvaux (engraver). In Peron & Freycinet 1824:Plate 31 (top). Translation by Maud Page, Australian Museum. New Holland: Containers, Weapons, Fishing Implements. spears; 2a. spear-thrower (side-view); 2b, spear-thrower (plan view); 3. unbarbed spear; 4. four-pronged fish spear; 5. various clubs; 6. rebounding sabre (probably a boomerang); 7a and b. shield (both sides); 8. stone-headed hatchet; 9. bark container; 9a. wooden container; 10. shell fish-hooks; 11. paddle. By CA Lesueur (artist), J Milbert (editor), Dien (engraver). From Peron & Freycinet 1824:Plate 30. Text panel: The importance of fish Fish formed a major part of the diet of the people who lived along the coast in the Sydney region in pre-colonial times. Fish also played an important role in Aboriginal people’­s spiritual lives. The importance of fish in Aboriginal life is evident in the numerous engraved outlines of fish seen on many of the rock platforms around the foreshores of Sydney Harbour. This importance is also seen in some early nineteenth century images of fish outlines. These drawings may have been made by local people for the French artist Charles Alexandre Lesueur who visited Sydney in 1802 or they may be drawings by Lesueur himself of engravings he saw. Some Aboriginal children were named after animals or objects. If a child had a specific animal or object before their eyes from birth until they were about four to six weeks old, they were named after this animal or object. For example, three men well-known to the British colonists believed they were named after fish: Ballederry said his name signified the Leatherjacket, Bennelong said he was named after a large fish and Mawberry believed he was named after the gurnard. Objects from Sydney’­s past The Australian Museum houses approximately 120,000 ethnographic objects and around 1,000,000 individual archaeological specimens. While they come from many parts of the world, they are principally drawn from Australia, the Pacific and South-east Asia. Of the ethnographic objects, only a very small number are known to come from coastal Sydney. Only three fishing spears can be attributed to this area. Hundreds of objects were collected by the first British colonists and visitors to Port Jackson and taken back to Europe and other countries. Unfortunately, relatively few have survived or can be identified in overseas museums. This is because many objects did not survive the ravages of time in private homes or were discarded as their importance for future generations was not appreciated. Another problem is that many objects were labelled as having come from either New Holland”­, a name that originally referred to the whole of Australia, or New South Wales­, a name that originally referred to the entire eastern Australian coast. Objects from the Sydney region which remained in Australia had a similar history. An added circumstance was the loss of almost the entire Australian Museum ethnological collection in the Garden Palace Fire in 1882. The only fishing implements known to have survived from the Sydney region are five multi-pronged fishing spears: three in the Cambridge University Museum of Archaeology and Anthropology; one in the Museum of Mankind (British Museum) in London; one in the NN Miklukho-Maklay Institute in St Petersburg, Russia. For these reasons, archeaological materials which are known to come from Port Jackson and Botany Bay are supplemented in this exhibition by objects from the adjacent NSW south and north coasts which are believed to be similar in style and manufacture. Ã«As very ample collections of all these articles are to be found in many museums in England -­ Watkin Tench, 1793 Photograph of Cambridge spears label text: These are three of the five surviving multi-pronged fishing spears that are known to have come from the Sydney region. They were collected by Captain Cook in 1770 at Botany Bay. They were originally in the collection of John Montagu, 4th Earl of Sandwich, First Lord of the Admiralty and a patron of Captain Cook - the person who gave them to him. In October 1771, John Montagu donated them to Trinity College of Cambridge University where he was a student. The spears and several other items in this collection were transferred to the Cambridge University Museum of Archaeology and Anthropology in 1914. CUMAA Reg. Nos D1914-1 to 4. Photograph reproduced with permission of the CUMAA. Actual spears label text: Fishing spears had up to four prongs and were between 4.5 m and 6 m in length. Additional segments could be added to the shafts for fishing in deep water. Large fishing spears with four prongs were called callarr, calara and smaller ones were called mooting , mootang , mutiK . The prongs of the mooting were called carrabba , and those of the callarr were called dammoone. The British colonists called them fizz - gigs . Making hooks and line panel. The historical descriptions provide very little specific information about how shell fish hooks were made. However, it is indicated that part of the process was grinding the shell into shape with a stone. Archaeological research has identified more clearly the shells which were used and the process by which the shell fish hooks were made. Finished and partially-made shell fish hooks and blanks cut from heavy turban shells in readiness for making hooks have been found in several Aboriginal sites in the Sydney region and along the NSW south coast. The archaeological record suggests there were five stages to making a shell fish hook: Stage 1: one or more oval-shaped blanks­ were cut from each shell. The edges of these blanks were partly smoothed by filing. Stage 2: the outer (convex) surface of the blank was probably ground down on a flat stone until its centre was very thin or worn through. Stage 3: a hole was made (if the centre was not worn through) or enlarged (if the centre was worn through) by chipping out the thinned centre of the shell until there was only a ring of shell left. Stage 4: the rough shape of the final fish hook was formed by removing a small part of the ring. Stage 5: the final hook is formed by smoothing the inside by filing, finishing the point and notching the shank. Small, pointed ground stone files (often referred to as fish hook files) which were used in making the hooks, have been found in shell middens of the same age and geographic distribution as the shell fish hooks. These files were used to work wood and perhaps bone. Making fishing line car-re-jun The bark of Cabbage trees (Livistona australis) and probably Kurrajong trees was used to make fishing lines. The bark of the small tree Hibiscus heterophyllus and the small shrubs Pimelia sp. (rice flowers) may also have been used. In addition to bark, fibres from Settler’s Flax, Gymnostachys anceps, were used to make fishing line. The coastal word for fishing line was carrejun or carrahjun and is now used as the common name (Kurrajong) for the tree Brachychiton populneus. Making spears panel (To go in cases in middle of room) Making fishing spears Ã± callarr, mooting Fishing spears had several parts each made from different materials. The First Fleet colonists described them as having shafts which were up to six metres in length made from wood or the flowering stems of grass trees. The prongs were made of wood and were about 30 centimetres long. Pieces of bone, stingray spines, shell, fish teeth or hardwood were used to point and/or barb the prongs. Barbs made of kangaroo or wallaby bone were sharpened or ground to a point at one or both ends. Each of these parts was bound together with two-ply twine or unplied plant fibre which was coated with resin. Making canoes panel (To go in cases in middle of room) Building a canoe, nowey Canoes were constructed of a single sheet of bark tied together at the ends with vines. Bark used to make the canoes came from several trees. However, the specific name of the tree was not recorded in the historical literature. The bark from Grey or saltwater Swamp She Oak (Casuarina glauca), Bangalay (Eucalyptus botryoides) and stringybarks such as E. agglomerata and E. acmeniodies was probably used. Hatchets were used to remove the bark from the trees. Damaged or leaking canoes were patched with resin from grass trees (Xanthorrhoea spp.) and sometimes with the leaves of the Cabbage Tree Palm (Livistonia australis). In August 1788, Governor Phillip commented that “it was the season in which they make their new canoes”­, suggesting that bark for new canoes was commonly cut in winter. Also, a letter from Mr A Woodbury of Burnt Bridge, Kempsey, who made two of the canoes on display in this exhibition, refers to the need to wait for the appropriate time when the bark is ready to be stripped from the trees. Net bags and baskets were essential pieces of equipment. Both men and women used them to carry fishing gear, the fish they caught and many other items. Net bags were made from two-ply twine which was made from the bark of different trees. These two net bags come from the NSW north coast but are very similar, if not the same, as those made in coastal Sydney. The square bag is made partly of European fabric worked in to form a band through the centre of the bag. The woman in A View in Port Jackson is carrying a bark basket while the woman in A Family of New South Wales is carrying a net bag. About hooks, lines and sinkers panel Hooks, lines and sinkers Fishing equipment used by the Aboriginal inhabitants of Port Jackson was designed to be portable - it was lightweight and most objects were small in size. However, this equipment was capable of providing a substantial part of the Aboriginal diet. The principal fishing kit consisted of spears for the men and hooks, lines and sinkers for the women. Both men and women used net bags or bark baskets to carry their equipment and the fish that they caught and both fished from canoes on the harbour. These shell fish hooks (bera) were collected from shell middens around Port Jackson and Botany Bay. 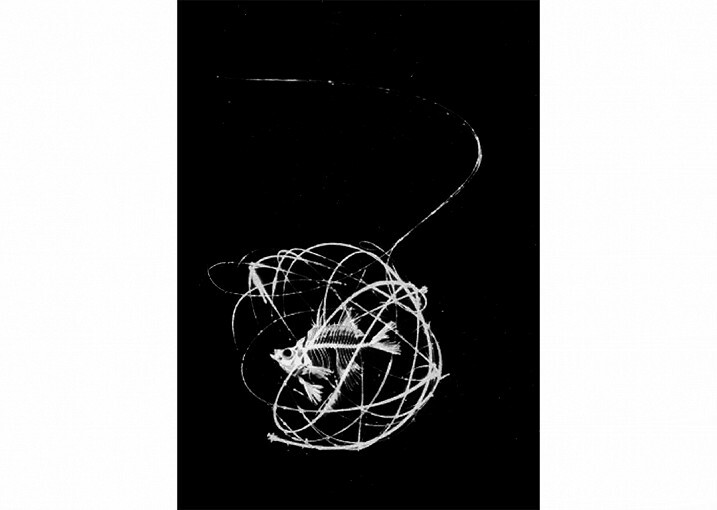 These few fragments of twine, interpreted as fishing line, were collected around 1902-1903 from a midden in a rockshelter at Parsley Bay, near the mouth of Port Jackson. This shaped stone found on a shell midden at Quibray Bay on Botany Bay has been interpreted as a stone sinker. Gender roles panel (To go on front wall [right wall of seahorse room]) Equipment Both men and women caught fish but each used different equipment: men used multi-pronged fishing spears, called fizz-gigs by British colonists, while women used a hook and line. The men fished from rock platforms and canoes while the women fished only from canoes. The division of labour can be seen in many of the historical images. In A Family of New South Wales, the man carries fishing spears while the woman carries a hook and line, some fish and a net bag in which she carries a variety of objects including fishing equipment. These watercolours show women fishing in canoes, people eating fish around a campfire outside a bark shelter and a family­ carrying the equipment they used in their daily lives. The catch of the harbour The people who lived around the shores of Port Jackson caught only a few of the hundreds of fish species that we now know inhabit Port Jackson. The most commonly caught were snapper and bream. Others include flathead, groper, leatherjacket, luderick, morwong, mullet, mulloway, rock cod, tarwhine, whiting, wirrah and wrasse. Aboriginal names for fish and other marine animals on the poster to the left were recorded in two manuscripts: one written by William Dawes in 1790 and another whose authors are unknown but which may have been written between 1790 and 1792 by Governor Phillip, David Collins and John Hunter. Of the Aboriginal names recorded, only a few can be identified as species with currently used common and/or scientific names: Aboriginal name English translation cagone toad fish (which they say is poisonous) cowerre large flathead goray tarrawine possibly tarwhine mullinagul small flathead karoma or carooma Eastern black bream maromera zebra fish murraynaugul flathead wallumai snapper waradiel large mullet warragal or weeragal mackerel For the following, a current common or scientific name is not known, or was not listed: badoberong a small fish like a tadpole with two feet barong the prince fish beragallon not given moorowul not given boorroonaganaga not given The historical accounts provide limited information about the fish species caught by the local inhabitants. Snapper, bream and mullet are the only names recorded. Fish that were caught The The historical accounts provide limited information about the fish species caught by the local inhabitants. Snapper, bream and mullet are the only names specifically mentioned. Other species that were caught are known from the fish bones found in Aboriginal shell middens that line the coast and estuarine shorelines. Particular parts of fish skeletons, such as the jaw bones and otoliths, are unique and often identifiable as belonging to specific species. Otoliths are small bones that grow inside fish ears. In the Sydney region, snapper head bones are readily identifiable, especially by their distinctive frontal bone and supra-occipital crest. Also unique and easily recognisable are the dorsal spines of leatherjackets. Excavated fish bones are identified by comparing certain skeletal parts with a reference collection of skeletons of known species. These bones come from excavated shell middens at Woolwich, Vaucluse and Balmoral Beach. Comparing excavated fish bones with present-day reference collections of identified fish skeletons enable the excavated bones to be identified. Latex peels are used to record the stratigraphy and cultural layers in deposits at archaeological sites. This latex peel was made after an archaeological excavation in a rockshelter at Balmoral Beach. It records the various layers and materials which built up from around 4000 to 2500 years ago. The layers that accumulated after 2500 years ago were removed during construction of parking bays and landscaping in the 1960s. Dr Val Attenbrow, Senior Research Scientist at the Australian Museum undertook these excavations as part of the Port Jackson Archaeological Project which was designed to investigate the subsistence economy and raw materials used by people living around Port Jackson in the distant past. Layer 1: Recent, disturbed sandy soil re-deposited in the 1960s. It contains a few stone artefacts and shell mixed with European items such as glass and tile. Layer 2A-B: Main shelly layer. The white pieces are shell that has fragmented and degraded due to natural processes, the small brown pieces are bone fragments, and the black specks are charcoal. The pale brown lenses are ashy hearths. Stone artefacts occurred in the deposit, but are not visible in the peel. Layer 2C: Black sandy deposits with stone artefacts, bone and charcoal. The shell has dissolved away in this area as it is under the dripline of the shelter as overhang. Layer 3: A series of bone-rich and charcoal-rich layers and lenses. There are also stone artefacts present. In the bottom half of this layer, the only bone that has survived is burnt and appears as tiny white specks. Layer 4: Mottled sands with charcoal. Stone artefacts are the only cultural materials present. The radiocarbon dates noted on the peel came from shell samples, except for the dates for the lower deposits that were taken from charcoal samples. Shellfish seen in the peel are mainly limpet, black periwinkle and rock oyster which inhabit intertidal rock platforms; and Sydney cockles which like sandy, muddy conditions. The fish bones are mainly from snapper and bream but leatherjacket, flathead, wrasse, tarwhine and groper were also identified. The land animal bones come from swamp wallabies, wallaroos, bandicoots, possums, gliders, marsupial mice and dingoes. The stone artefacts seen in the peel are mainly debris created when making spear barbs or small points for cutting, small adzes for woodworking and implements for butchering animals and processing plants.